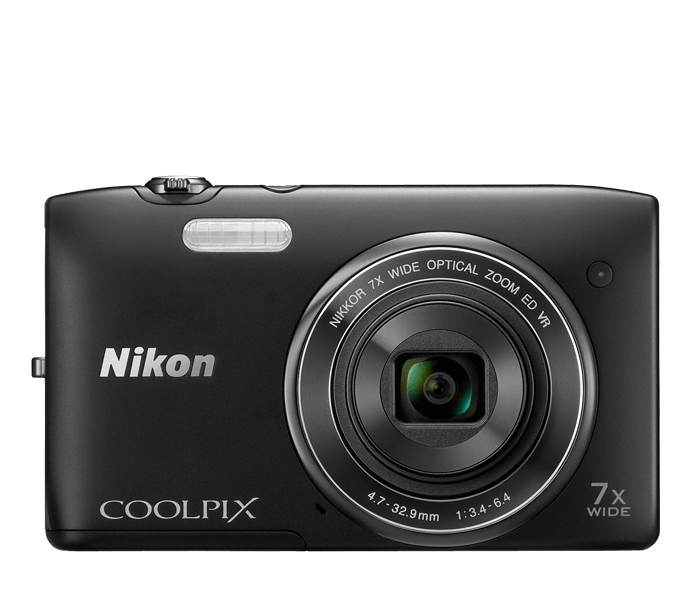 Be ready for success at every photo op with the stylish, easy to use COOLPIX S3500. Whether you're shooting a close-up portrait of your favourite pet or a wide group shot of your closest friends, the COOLPIX S3500's 7x optical zoom NIKKOR glass lens will capture beautiful, blur-free 20.1-megapixel photos and 720p HD videos. Lens-shift Vibration Reduction helps minimize the blur caused by camera shake, while Subject Tracking locks on to moving subjects and keeps focus right where you want it. When you don't want to fuss with camera settings, Scene Auto Selector automatically picks the best settings for your shot. Let your camera do the work while you enjoy living in the moment.